An amicus curiae brief is filed by a non-party—usually in an appellate court like the US Supreme Court—that seeks to educate the court by offering facts, analysis, or a perspective that the party briefing doesn’t present. The term amicus curiae means “friend of the court,” and that is exactly what the parties that file these briefs are. They aren’t objective, but they are—without pay—helping out the court, like a friend might. Well, sort of. Entities filing amicus briefs do so for a reason and that reason isn’t typically just court friendliness. In fact, as we will discuss below, there are many good reasons for someone to file an amicus brief. Along with antitrust and commercial litigation, I’ve been an appellate litigator my entire career. I started out by clerking for Judge James B. Loken on the United States Court of Appeals for the Eighth Circuit (in Minneapolis), then moved on to Gibson Dunn’s appellate group in Washington DC. So, as you might imagine, I’ve participated in many appellate matters. And without question some of my favorite briefs to write are amicus briefs. I’ve filed many of them over the years. Indeed, at Bona Law, we have already filed five amicus briefs (US Supreme Court, Fourth Circuit, Eighth Circuit, Tenth Circuit and the Minnesota Supreme Court). Update: In May 2017, we filed an amicus brief to the Minnesota Supreme Court on behalf of the NFIB, supporting a challenge to the Minnesota Unclaimed Property Act. You can also read about this appellate brief on the Bona Law website. From the attorney’s perspective what I really like about amicus briefs is that they invite opportunities for creativity. The briefs for the parties before the court include necessary but less exciting information like procedural history, standard of review, etc. Then, of course, they must address certain necessary arguments. Even still, there is room for creativity and a good appellate lawyer will take a thoughtful approach to a case in a way that the trial lawyer that knows the case too well may not. But what is great about writing an amicus brief is that you can pick a particular angle and focus on it, while the parties slog through other necessary details. The attorney writing the amicus brief figures out—with the client’s help—the best contribution they can make and just does it, as efficiently and effectively as possible. Because the amicus brief should not repeat the arguments from the parties, the attorney writing the brief must develop a different approach or delve deeper into an argument that won’t get the attention it deserves from the parties. This is great fun as the attorney can introduce a new perspective to the case, limited not by the arguments below, but by the broader standard of what will help the court. This means that the law review article that the attorney saw on the subject that hasn’t developed into case law is fair game. So is the empirical study from a group of economists that may reflect on practical implications of the decision confronting the court. Or the attorney might educate a state supreme court about what other states are doing on the issue. Often an association will explain to the court how the issue affects their members. The point is that amicus briefs present opportunities to develop issues in ways that party briefs rarely do. Indeed, that is partly why they are valuable to courts. Of course, you can’t just talk about anything you want in an amicus brief. It isn’t a chance to find readership for that short story you’ve always wanted to publish. The amicus brief must be useful to the court, for the particular case in which you file it. Oftentimes, along with your amicus brief, you must also file a motion for leave to file the amicus brief, which explains your interest in filing the brief and why the brief is “desirable” to the court and why the brief is relevant to the disposition of the case. (See Federal Rule of Appellate Procedure 29). So if you want to file an amicus brief, you really better think about how it will help the court. If it doesn’t help the court in a real way, you will probably just irritate them and that is never a good idea. In most instances, a party filing an amicus brief will file it to support one or the other party. Thus, it is not surprising that parties on appeal will often solicit entities to file amicus briefs supporting them. That isn’t typically a problem (and is quite common), but the party filing the brief should make sure that it is its own and that the party to the litigation neither writes the brief nor pays for it. Indeed, most courts require the amicus filer to expressly confirm this in the brief itself. So why would you want to file an amicus brief? Many groups or entities file amicus briefs, from trade associations to non-profits to companies to groups of professors to government entities—even the U.S. government. The court’s disposition of the case will affect you or your members (if you are a group). An amicus brief is your opportunity to speak to the court on a matter that will affect you. This is probably the most common reason for filing an amicus brief. You are a think tank or other non-profit and your mission is to support a particular world view. An amicus brief is your opportunity to educate the court on an issue that you have studied extensively and that may affect your entities’ important issues. You are an expert and you can educate the court. 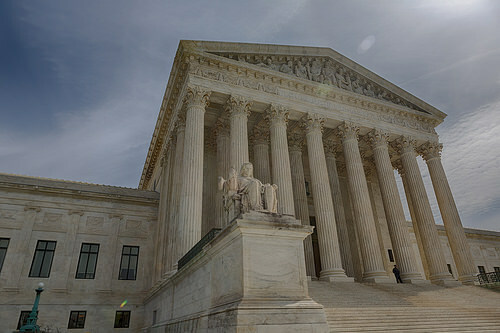 It is common for groups of academics or other experts to file amicus briefs when the decision may require understanding something from the experts’ field. 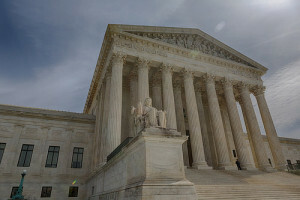 You already have a marketing budget and an amicus brief is—when utilized properly post-filing—a great marketing tool. It shows you taking tangible action on an important issue and is something that you can send your members or prospective members (or customers, clients, etc.). Many amicus briefs are written with fewer case cites and discussion, so the brief may be more accessible to a non-lawyer audience than the typical brief. Related to this, an entity filing an amicus in a high-profile case may receive some positive press coverage. You can announce to the world that you are taking a position. This may be strategically useful in certain circumstances. You can educate the court on the particular case, but also educate it more broadly on the interests of your members or your company. For academics and subject-matter experts, an amicus brief may raise their profile in different communities. Perhaps an academic or other expert is interested in more expert-witness work; filing an amicus brief might be one way to let everyone know about their capabilities (or at least who they are). You are part of a similar case in the same or a different jurisdiction and the appellate court’s decision may be precedent—binding or persuasive—for your case. Ultimately, each case and situation is different, but if you become aware of a case on appeal of interest, you might explore whether an amicus brief makes sense. From a budget perspective, amicus briefs are typically less expensive than a party brief. So that might help. For the appellate attorney, they are fun to write. If you found this article on amicus briefs useful, you might also enjoy our article describing one way to write a significant appellate or antitrust brief.